← AARP SMART DRIVER COURSE FOR SENIORS – I got my license 63 years ago and no one is going to tell me how to drive! DYING ON AN INTERNATIONAL TRIP? Death on an international trip. 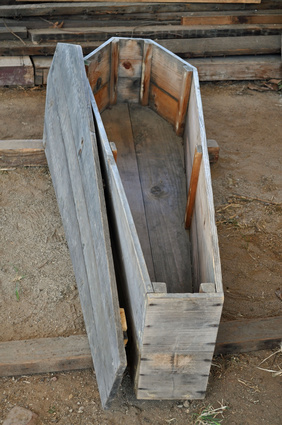 Coffins can frequently be bought at a flea market. Old people are afraid of dying while on an international trip. Most are afraid of dying period; however, 99% of people die at some point, and once you reach 75 you are more aware of the probability that you will die; especially if you are going overseas. Insurance policy – Company and policy number. Home town physician and number. Home town funeral home number. Simple statement as to wishes. Cremate, ship home, bury abroad…etc. Travel insurance name, telephone and policy number. Travel insurance to pay for shipment of body, cremains. Contact the American Embassy where you are. They have a 24 hour number. Contact Funeral home in your home town. Carry on cremains in a sealed, TSA approved, container. 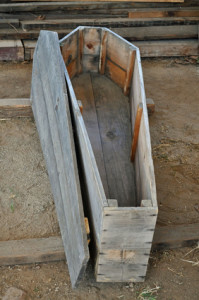 Have foreign mortuary ship body to your home-town mortuary. Remember that what is a unique and terrible experience for you is a common event for the embassy, the funeral homes and the airlines.